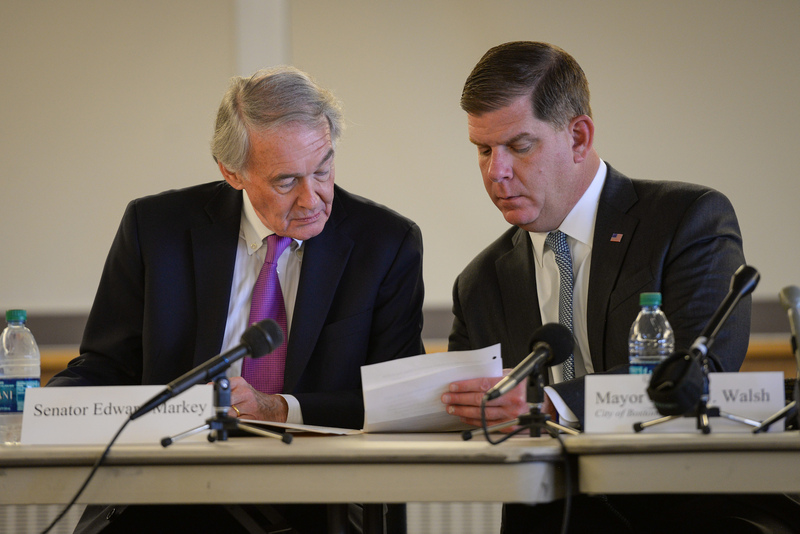 Boston, MA – Saturday, October 28, 2017 – Senator Ed Markey endorsed Mayor Marty Walsh in his bid for re-election today, praising his commitment to protect Boston’s environment while working to create a cleaner and more sustainable future for the city. Mayor Walsh has made protecting the environment a key priority in his first four years as mayor, creating Boston’s Climate Action Plan, which is a roadmap cutting emissions by 80% by 2050. As a result of the Mayor’s work, Boston was ranked the #1 city for energy efficient by the American Council on an Energy Efficient Economy this year, for the third time in a row. In June, when President Donald Trump announced his decision to withdraw the United States from the Paris Agreement, Mayor Walsh stood up and made it clear that Boston would uphold its commitment to the agreement and continue efforts to prepare for, and prevent, the effects of climate change.